Dear reader, the Spiritist Magazine dedicates this issue to topics that will boost our readiness for such transformation. You will find such resources in each and every word, phrase, paragraph, and page. 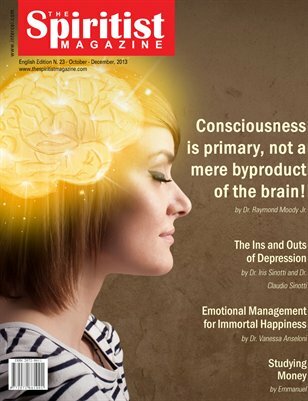 From the current findings of the Science of near-death experiences, in which the renowned Dr. Raymond Moody Jr. concludes, after 50 years of investigation, that “consciousness is not a mere byproduct of the brain” to the incredible modeling detachment exemplified by the immortal Chico Xavier, when he donated a great sum of money to a charitable organization. Let us then prepare ourselves to a new conditioning by refining emotional life while learning to view life in its true facets of two worlds!